We could list off all the different reasons to take a trip to Disneyland this summer, but there’s really only one attraction on everyone’s mind, right. “Star Tours.” Tons of new locations adding up to more than 54 different ride combinations. New pilot C-3PO. It’s all in 3D! OK, maybe not everyone over the age of 10 is that excited about new “Star Tours.” But there’s a lot to keep everyone busy at the park this summer, especially if you catch up with our list of Disneyland Secrets. It will teach you all kinds of secret, insider-y, special stuff to look out for and things to do that the regular tourists don’t know about. Unless…they also see this blog post…in which case, I can do nothing for you. 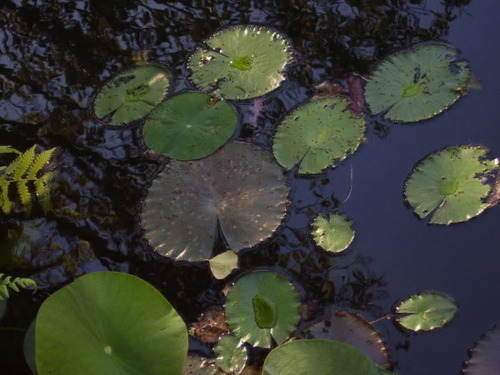 Naturally occurring lilypads or Hidden Mickey? You make the call!